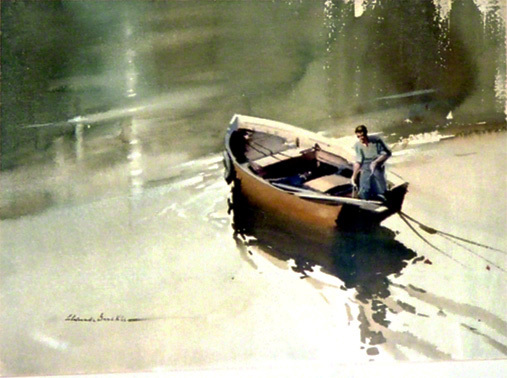 A very atmospheric and superb water colour showing a small boat in a river starting off. This picture demonstrates Claude Buckle's amazing technique of how to paint water scenes. In particular notice the water reflection in the top left and the boat wake on the right of the picture. Courtesy Hilary Blake. Created in 1972.